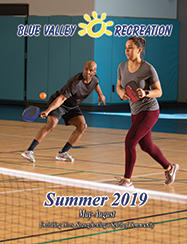 A full slate of dance classes await you at Blue Valley Recreation. Special dance shoes are needed for most classes. Learn about our dance shoe exchange program, providing gently used ballet, jazz and tap shoes at a great price by calling 913 685-6018. All classes may not be offered at certain times of the year. Classes are held at two different locations - either the Activity Center (AC), 6545 W. 151st St.or the Recreation Center (RC), 7720 W. 143rd St. PLEASE CHECK YOUR CLASS LOCATION WHEN YOU REGISTER - class location is also printed on your registration receipt. These classes are always held at the ACTIVITY CENTER (AC) on 151st St. These classes are always held at the RECREATION CENTER (RC) on 143rd St.